You can trust the professionals at Perimeter Security to provide the systems & services to protect your home or office from fire & instrusion. We're specialists at system design and equipment selection. We install high quality and reliable GE security systems, with features such as convenient key fob arm/disarm, GSM wireless monitoring, motion detection, glass break sensors, smoke and fire detection. We can also install (CCTV) closed circuit television cameras, either standard or new IP camera's that can be remotely viewed and managed anywhere over the internet. 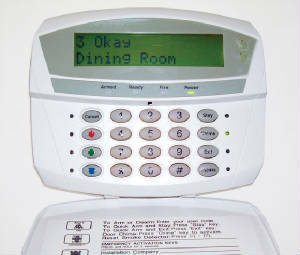 Innovative technology solutions such as a simple and affordable door phone answering system that rings the phones in your house when someone pushes the button on the door intercom. No need to open the door to see who is there!